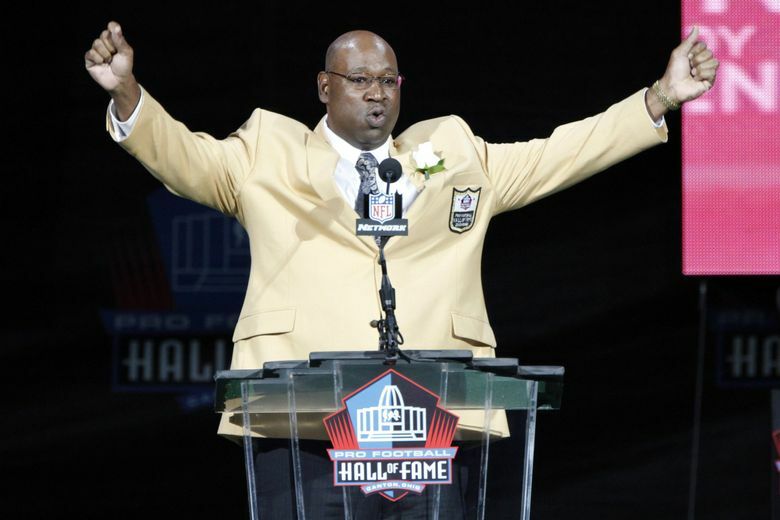 Seattle Seahawks Hall of Famer Cortez Kennedy had been hospitalized for five days in the weeks prior to his death due to swelling in his legs. Seattle Seahawks Hall of Fame defensive tackle Cortez Kennedy had been hospitalized due to swelling in his legs for five days about two weeks before he died on May 23, according to a police report obtained Monday by The Seattle Times. The report, from the Orlando (Fla.) Police Department, states Kennedy had also been feeling dizzy the day before he died and asked a friend that afternoon to check on him when she got off work the following morning. When the friend checked on Kennedy the next morning he was found “on the bedroom floor,” the report states. When Orlando police responded they found Kennedy unresponsive and with no vitals and he was declared dead at 10:26 a.m. The report does not state why Kennedy had been suffering from swollen legs but that there was paperwork in his house showing he had been in the hospital from May 10-15. Several of his former coaches and teammates have told The Seattle Times that Kennedy suffered from diabetes. Kennedy, 48, had been feeling ill enough that he had already canceled a scheduled appearance at a fundraiser for Special Olympics USA at the Seattle Great Wheel at Pier 57 on May 25. Kennedy’s step father, Joe Harris, told The Times that Kennedy had been suffering from headaches prior to his death but that “I don’t know if that would have been the cause of death” and said the family had not been told anything specific. Kennedy had no known history of concussions during his NFL career. He missed only nine games in 11 seasons with the Seahawks from 1990-2000 all due to an ankle injury, including a broken ankle that cost him eight games in 1997. Until that injury he had started 100 consecutive games, which at the time was a franchise record. A spokesman for the District Nine Medical Examiner’s Office in Orange County, Fla., told the Times two weeks ago an official cause of death likely won’t be made until results of toxicology tests come back, which could take 10-12 weeks. A celebration of Kennedy’s life was held last week in his hometown of Osceola, Ark. The Seahawks announced on Friday they will honor Kennedy this season by wearing a No. 96 decal, his jersey number with the team, on their helmets.